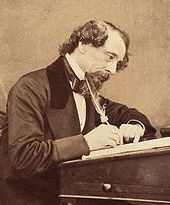 Dickens at his desk in 1858. Once reaching land, Dickens and his entourage embarked at Boston to large crowds and then traveled mostly down the East Coast with an occasional foray into the Great Lakes area of both the U.S. and Canada. (Dickens adored Niagara Falls, btw, calling it (poor paraphrase here) the closest place on Earth to heaven. Along the way, he made a point of visiting public institutions such as prisons, mental hospitals, and hospitals for the disabled (including the Perkins Institute where Helen Keller went later on). As Washington may be called the headquarters of tobacco-tinctured saliva, the time is come when I must confess, without any disguise, that the prevalence of those two odious practices of chewing and expectorating began about this time to be anything but agreeable, and soon became most offensive and sickening. The book ends with a passionate call against slavery, and includes heart-rending excerpts from various American newspapers that Dickens had gathered on his travels, all detailing some of the horrible ways that slaves had been (and were treated). This trip to the U.S. was slap in the middle of slavery (especially in the lower states). 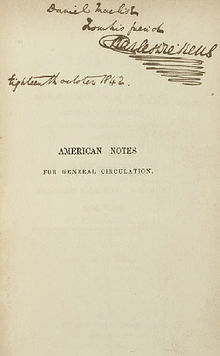 The slave literature of Uncle Tom’s Cabin and Twelve Years a Slave was published just a few years before whilst The Narrative of the Life of Frederick Douglass was released only a few years later, so Dickens was hitting the cause right as it was building up in the U.S.. (U.K. abolished slavery in 1833 whilst America sort of dragged its feet and didn’t do any real anti-slavery legislation until 1863 (with the Emancipation Proclamation) and 1865 with the 13th Amendment ending slavery in the U.S..) So — it would be a several decades until substantial legal change would be made for those who were victims of the slave trade. What Dickens saw was the real thing with regard to slavery and he hated it. This last chapter is so full of passion to what something that Dickens sees as incredibly wrong that by the time you get to the end, you feel the power of his anger as well. 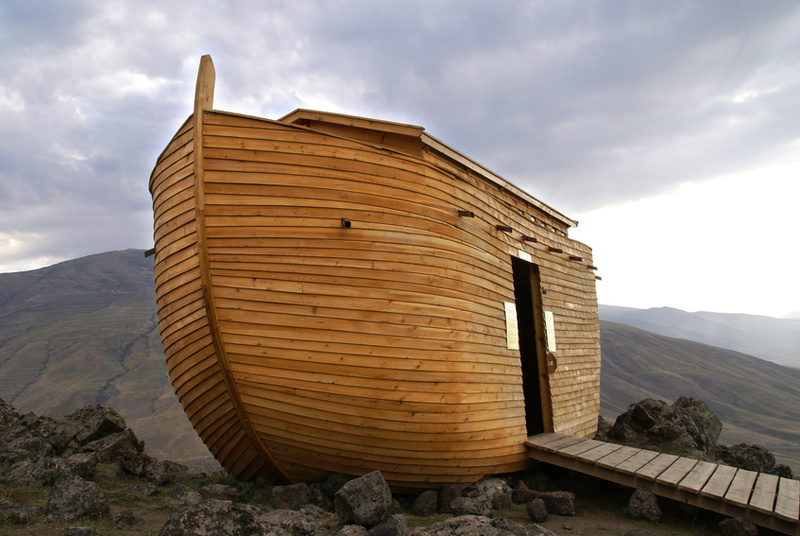 What was slightly weird was that the chapter before this one was a nice gentle round-up of his boat journey arriving back at Liverpool and how happy he was to see England again. I was all English summer roses and green rolling hills, and then BAM! There is a final chapter detailing quite a few reports of the heinous that individual slaves had suffered. So this anti-slavery chapter rather took me by surprise as I had thought the book was finished. Very powerful chapter though. I enjoyed this travelogue immensely. 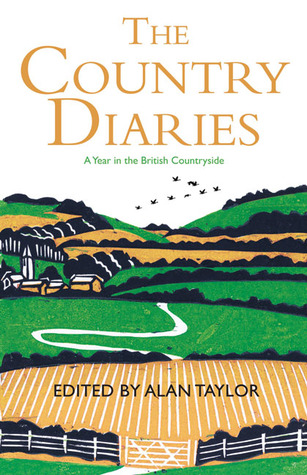 It was also pretty interesting that I’d only just finished the 1939 book Saddlebags to Suitcases by Mary Bosanquet, also a travelogue by a Brit who travels across Canada on horseback. (More to come in the future on that one.) Both pretty funny looks at this side of the ocean and the Dickens especially is highly recommended. Truly funny. So – time for a general catch-up with reading and life in general. Work continues at warp speed and so I’m still not quite back to full-tilt reading, but I’m reading when I can. I’m in the middle of a fantastic read by Gerard Woodward (whose book August I loved and reviewed a while back). 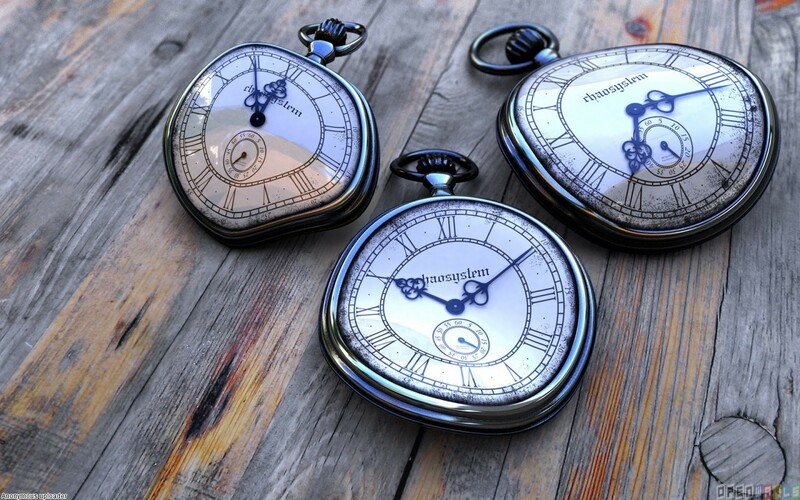 His publisher got in touch with me about his newer title, Vanishing, which is great and I am finding that I look forward to every moment that I can find to read that story. More in-depth review to come, but suffice to say, Woodward is a great author! 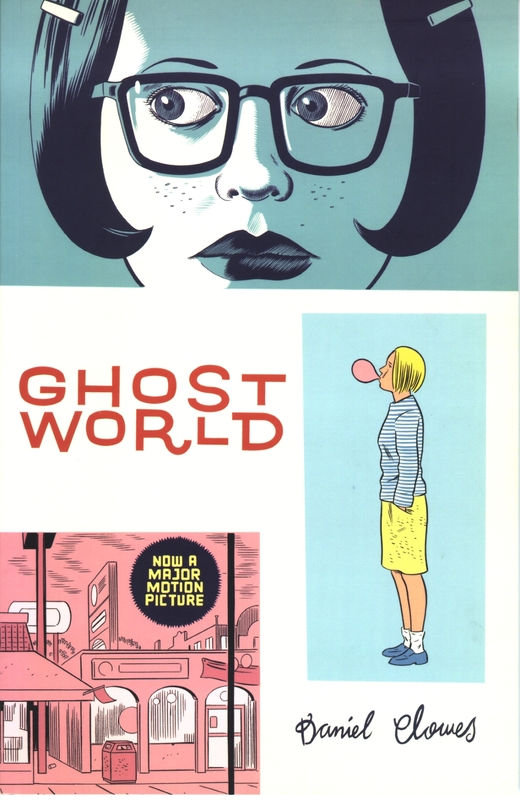 Did a quick read of the graphic novel bestseller called Ghost World by Daniel Clowes. Not one of my favorite reads as both of the two lead characters are hard to like, swear like sailors and have an extremely jaded approach at life. I know a lot of people really like this read of these two disaffected teenaged friends, but I rather wish that I could take that hour of reading time back to use on something else. But it’s good to know what people are talking about when they mention Ghost World now. When I haven’t been reading, we’ve caught a couple of really good movies. 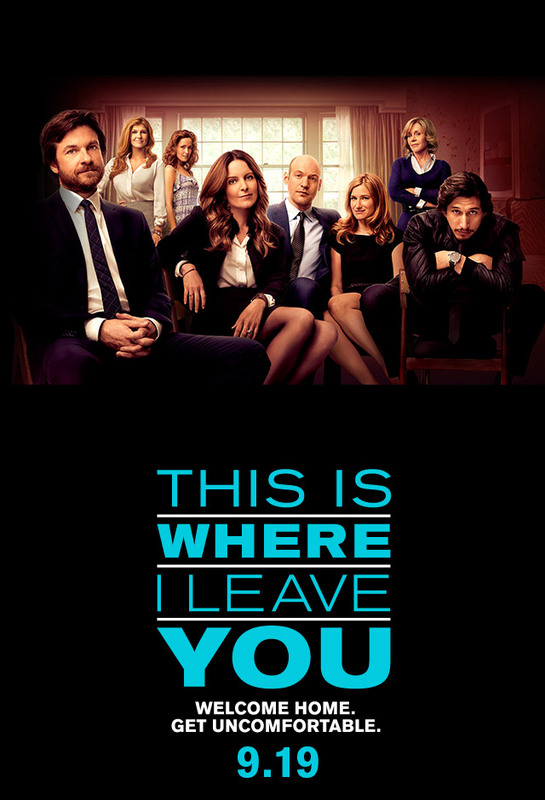 “This is Where I Leave You” is a movie adaptation of a novel of the same name by Jonathon Tropper (both good). (My book review is right here.) The plot focuses around a family of adult children and mother who all share close quarters for a week as was the final wish for their newly deceased father. 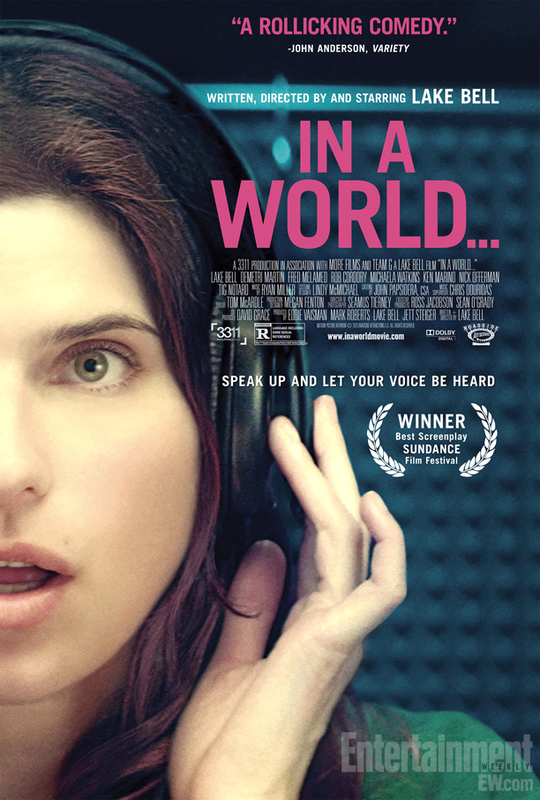 It’s poignant and funny, and I think it’s one of the most honest representations of what life would probably be like if grown-up siblings were forced to spend a whole week together after years of having their own independent lives. Bitter-sweet and an overall really good movie. Still watching the fantastic series, “The Wire” – wow. Talk about unpredictable plot twists and now we’re in Season Three, we’ve got a strong background in the characters and who they are etc., so it’s always a good watch. Good for when you want a serious hard-hitting drama and a nice replacement for House of Cards (although a very different take on the world). This is a short collection of some of Nick Hornby’s brilliant book review columns from The Believer magazine, these ones from 2003 and 2004. Well, after reading these (and laughing out loud at the gym several times), Hornby has now made it on to my evergreen Literary Dinner Party Guest List. 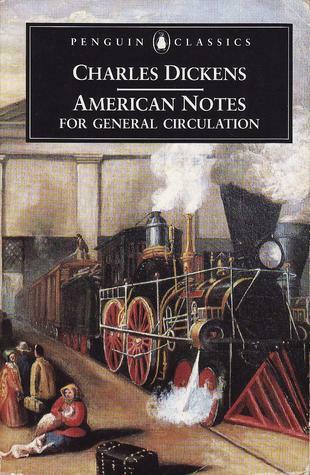 If you’ve only read Hornby’s fiction (Like a Boy, High Fidelity et al. 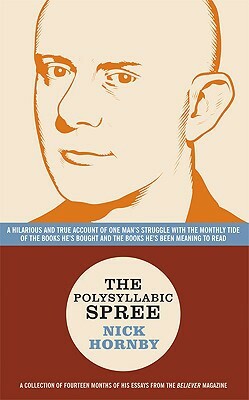 ), then get ye to a bookshop and buy any of his volumes of his book review columns. His fiction can be a bit patchy, but his columns are little nuggets of gold all tucked into each two and half page entry of his book. I have to say (and I don’t say this very often, mind you) that I thoroughly enjoyed every single page of this collection. So, I decided to take a look along my own particular bookshelves to see if I had an inordinate number of Titles of Shame – sad volumes who, through no fault of their own, have remained untouched and unmoved off their shelf, watching other books be chosen (or not as the case may be). Which regrettable titles (although obviously thought worthy at the time of purchase) would be found during this observation? I think if I had looked closely at my infinite TBR list(s) that they would more closely mirror my intended self. They are pretty wide-ranging in scope and, I would have to admit, even a touch optimistic in places, but I say “aim high.” The old “Ad astra per aspra,” right? For myself, I’m going to keep the hopeful fire of Hopeful Dream Titles burning. There’s nothin’ wrong with that. 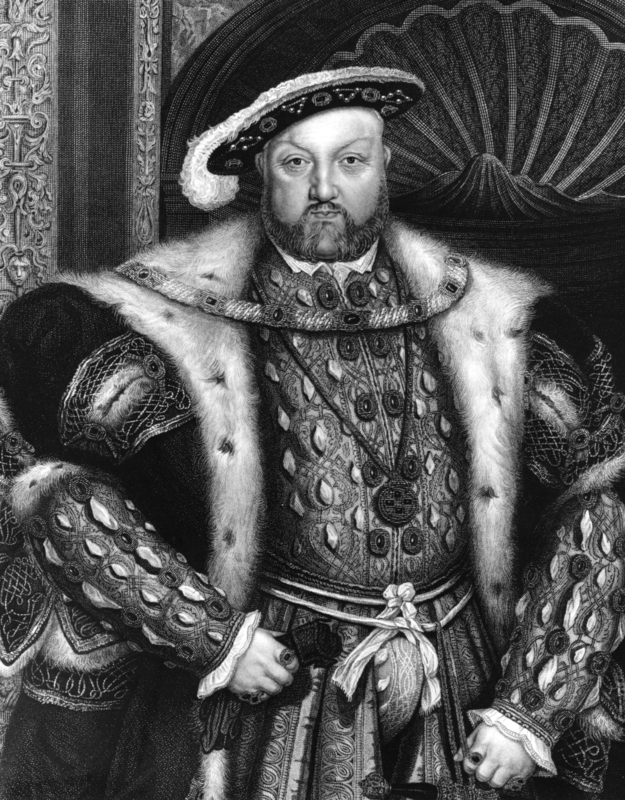 As any British schoolchild will know, there is just so much history to cover when you learn British history, that it all ends up as a jumble of dates, kings and queens, and various wars. The editors developed this book as an answer to all the gaps we have in our heads from school day history lessons. There are 150 entries, each about 250 words long, and with just enough information for you to get the facts. Obviously, there is a lot more detail to the history, but to give you a taste of things, this was great. 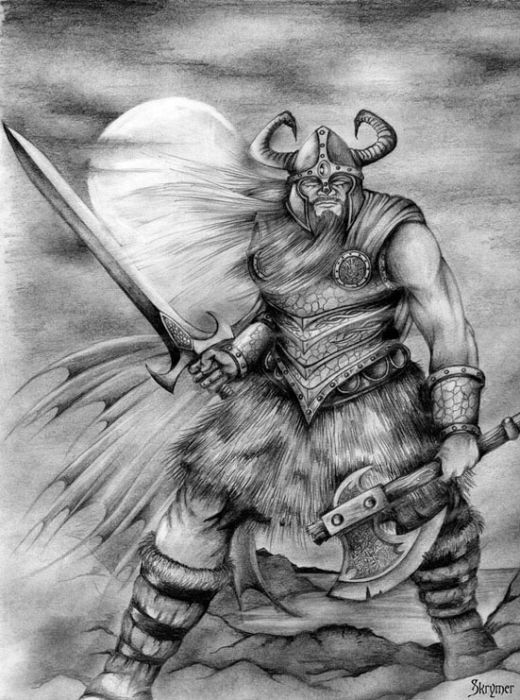 For example, at my old school, we covered Bonnie Prince Charlie, the Romans, some Vikings, the history of Native Americans (why?) and women’s emancipation (obviously a biggie for a large private girls’ school from Victorian times). So, I don’t know if teachers were “teaching to the test” as they do here in Texas or just how the time periods were selected but it seemed very random and unconnected to me. 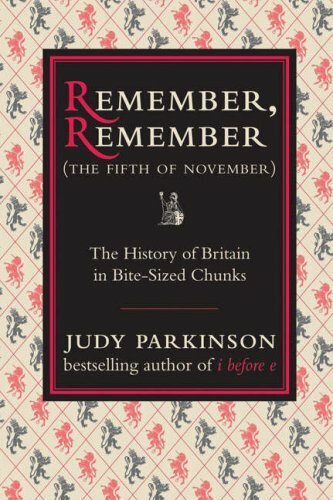 “Remember, Remember” is divided into several different time periods: Roman Britain, the Dark Ages, the Middle Ages, Tudor Britain, Stuart Britain, Georgian Britain, Victorian Britain, Edwardian Britain, WWI, the Interwar Years, and WWII. There is an easy to access list of Monarchs (lots of Edwards, Henrys and Georges for some reason), and a time line of the larger events. What worked so well, actually, was the logical chronological order of one event leading to another so you could see the flow and continuity of history, as different monarchs had different areas of interest. I also found it interesting to see how long the battle between the Roman Catholic church and the Church of England (CofE), and how it all played out over time, Additionally, it cleared up my confusion over the Northern Ireland/Ireland division and who the IRA were and how it all fit in. I was a school girl during the 1970’s, and we grew up with regular bomb threats, bomb drills, avoiding left luggage etc, but not completely understanding what was really going on. Now it’s a little clearer. I might be gushing a bit, but this was one of the most fascinating (and helpful) books that I have read in a long time. Now, I wonder if there is one for post-WWII to the turn of the century. I have some gaps there as well….